The Pleiadian Star Goddess created for the Mythical Goddess Tarot by Katherine Skaggs. The Pleiadian Star Goddess was created for the Mythical Goddess Tarot by Katherine Skaggs. 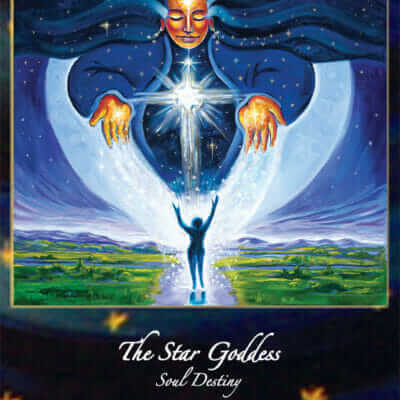 Evoking the Star Goddess of the Pleiades calls to you your Soul inspiration, the guiding light to understanding and achieving your true destiny on Earth. Her starry blessings are available to us all. 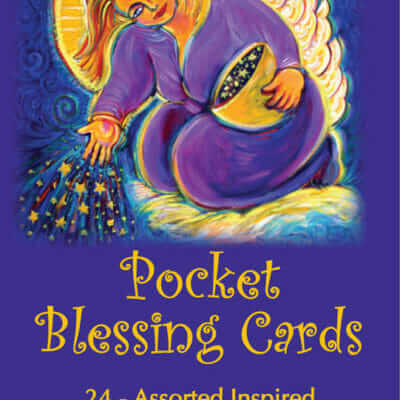 Open to receive Her abundant celestial essence, to illuminate your life path. Feel the radiance of your own power come through you, shining the stellar light that is your unique gift and blessing into the world. Let your vision expand into the Great Cosmic Consciousness, and see your special place within it. Feel the center of your Being blessed in starlight, and know you are Her shining star on Earth, here to fulfill your Soul purpose. 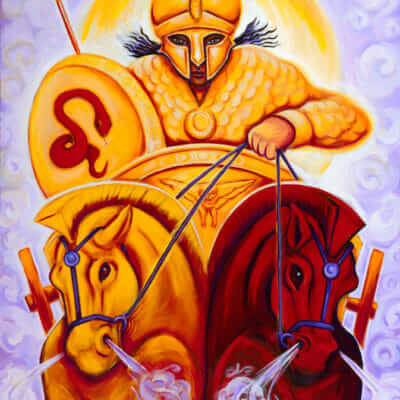 The original art of the Pleiadian Star Goddess is an acrylic on 36×36″ on canvas, and is in a private collection. It was created as a portal for the energy and essence of the Pleiades and this ancient Star Goddess to shower blessings and guidance into this third dimensional reality, raising our consciousness and frequency. The original art is part of a private collection. Digital prints are beautiful, low cost reproductions. The fine art giclee’ poster print is printed with archival pigments. All fine art giclee prints on watercolor paper or canvas are of archival quality and are rated to last 80-100 years. Fine art giclee’ prints can be created up to the original size of art and are beautiful, timeless reproductions, hand signed by Katherine Skaggs. Once ordered, giclee’ prints can take 8 to 10 days to ship.